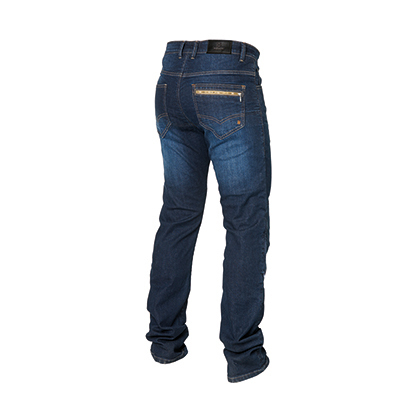 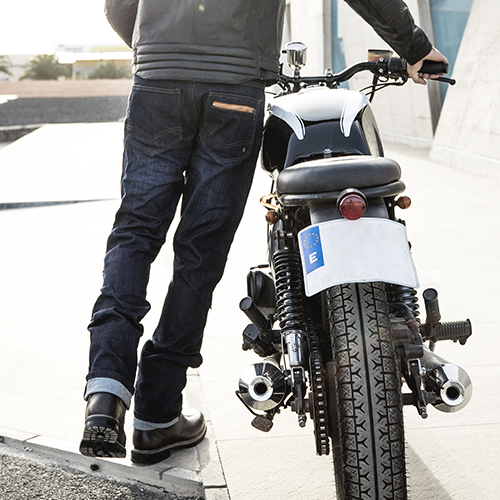 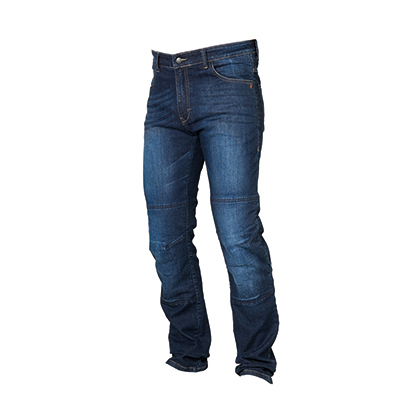 STONE denim pants are dedicated to riders that won’t give up style while riding. 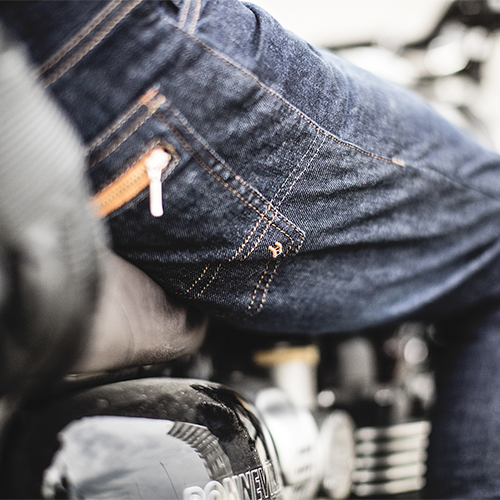 The aramid fiber liner, resistant to traction, tear and heat, perfectly matches the straight cut and the stonewashed, vintage look, all made even more unique by the zipped rear pocket. 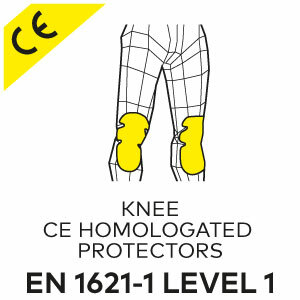 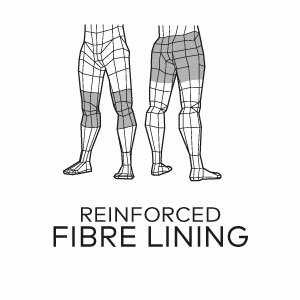 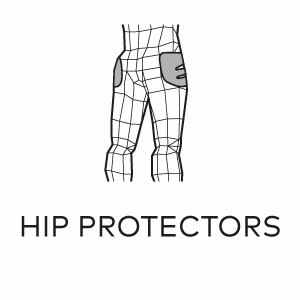 Comes with removable level 1 CE EN 1621-1:2012 approved protectors on the knees (adjustable in height) and foam pads on the hips.